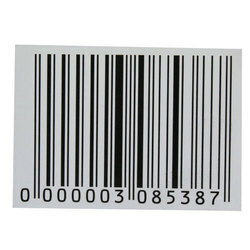 Pioneers in the industry, we offer self adhesive barcode from India. With the aid of our industrious workforce, we are offering Self Adhesive Barcode to the clients. This range is appreciated for its strength, tear resistance and unmatched quality.